Telecommunications | Epoch Solutions Group Inc.
Field operations for telecommunication utilities are critical for the day-to-day management of their essential networks. Providing field crews with timely information about a network and its assets is vital to doing business within today’s modern utility. EpochField emphasizes delivering this information to your crews in a powerful, cost-effective way. Through EpochField’s synchronization capabilities, network asset data is seamlessly integrated to provide a fully disconnected or connected field mapping solution. EpochField provides its users with a scalable mobile mapping solution built on cutting-edge technology and supporting the latest generation of touch screen devices. With support for Windows, iOS and Android devices, no longer are you limited by which device you use. Combines mobile mapping applications and field automation processes to increase field crew efficiency. Significantly reduces the time to locate, inspect and service field assets. Disconnected or Connected mobile mapping environment using fast tile based rendering of your data in a full multi-touch environment. Offline address search and point to point routing. Configurable asset search tool with address routing integration. 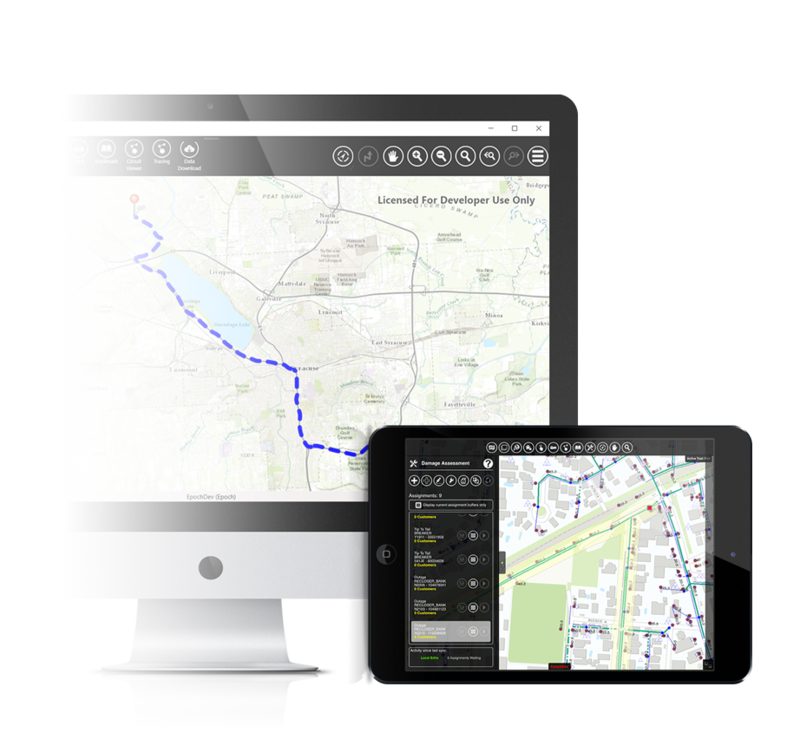 Connectivity with cloud based data services such as ArcGIS Online and WMS. Offline data collection and synchronization with back office. Extensible framework for building additional tools and interfaces.